Ever wanted to race a big money bracket series? Well now here’s your chance. South Central Drag Racing and Big Check Bracket Racing are proud to present the “Big Check Points Series” in 2019. Racers will have the chance to compete at various bracket races throughout the South Central region as well as across the country to earn points in the Electronics and No Electronics classes. This series is based on a local bracket track’s point program, but is on the Big Money side of racing. Racers will compete for a coveted Ultimate Big Money Gold Card. This entitles the 2019 champion of the series the opportunity to compete at the same events in 2020 for free. Points from your best 10 race days will count towards your season-ending total. All entry fees ($100 for Electronics, $50 for no-electronics) will go back to the racers in the form of checks, prizes, and give-a-ways as a Thank You for supporting the program. Participants will be able to earn points based on how many rounds are won in a single race day. Racers will earn 10 points for each round competed. The winner of each day will receive 12 points, and the runner-up will receive 11 points. If you double enter an event, you must purchase a second points entry, to earn points for each number, just like you will have to buy a second tech card to double-enter that event. If a driver has to buyback, they will not be able to earn points for that race. Shootouts will not count toward the points total. We are really excited to put this program together, and we think it will add a certain excitement to the big money racing program. There are a bunch of well-known and coveted races on the list. We would like to thank the promoters for coming on board and supporting this program. Please check out the 2019 Big Check Points Series schedule, listed below, and we look forward to seeing you at the races. For more information on the Big Check Bracket Points Series, contact Paige Hamlin at paige@southcentraldragracing.com. 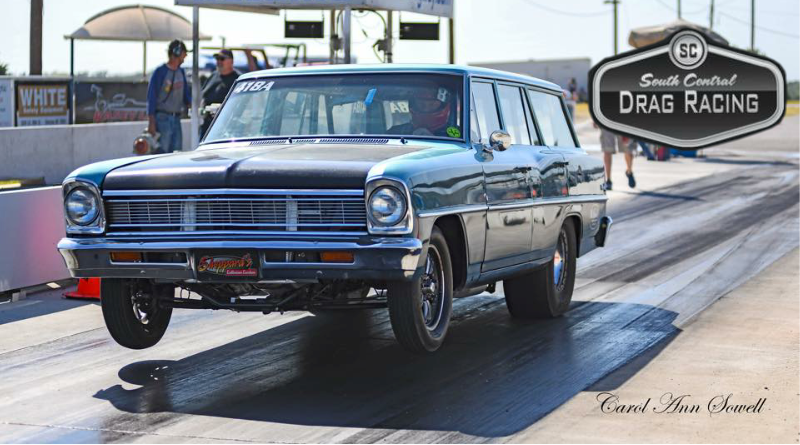 DragChamp is your source for bracket racing news and drag race results.